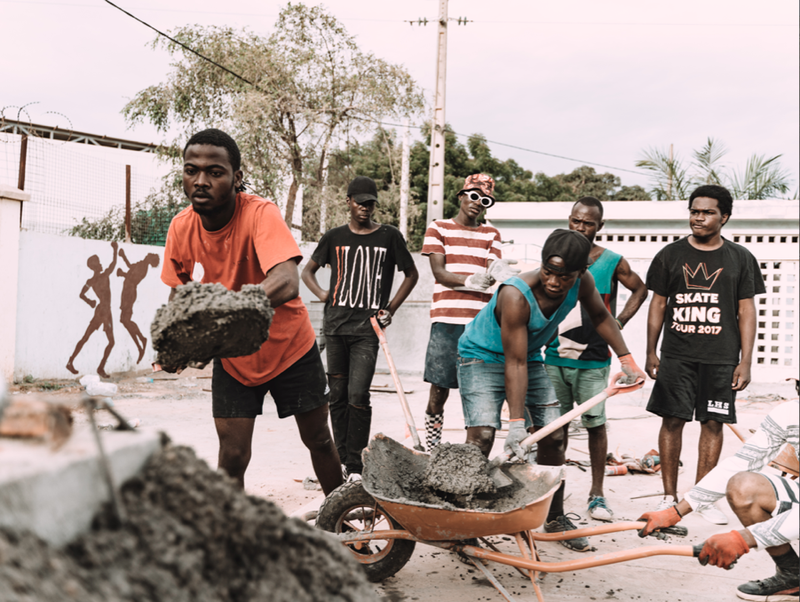 Between Nov 10th and Dec 10th, 2018, a dozen volunteers from all over the world came together with local youth in Luanda, Angola to construct the country’s first skatepark. Thanks to fundraising and support from Concrete Jungle Foundation, in partnership with Angola Skateboarding Union. 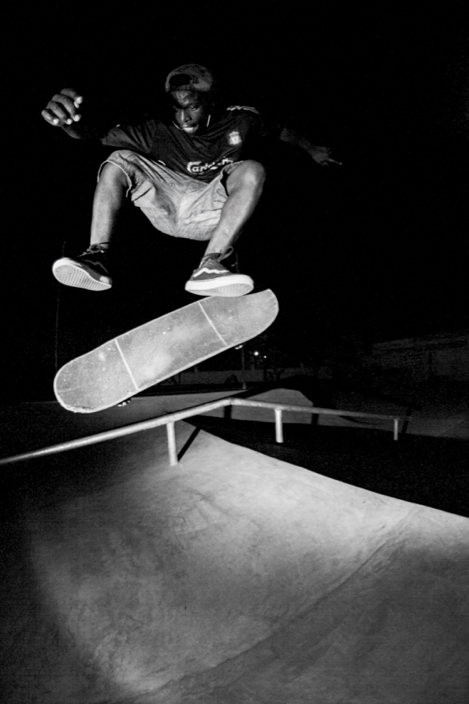 We caught up with local Angolan skateboarder Jesse Mendes from the Angola Skateboarding Union to find out about skateboarding in Luanda and how the park finally came about. 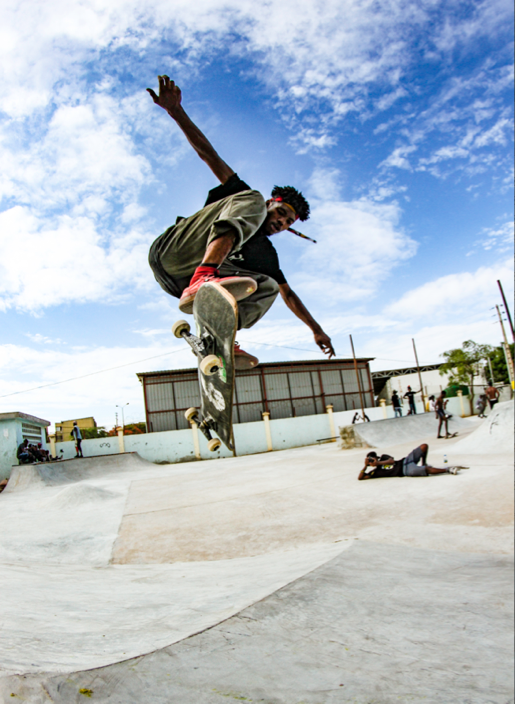 Tell us about the skate scene in Luanda, how many people skate in your city and what are the street spots like? The skate scene has always then there, if you walk around a few places in the city you will see a few spots with ledges waxed, which is a sign that skaters have been here. 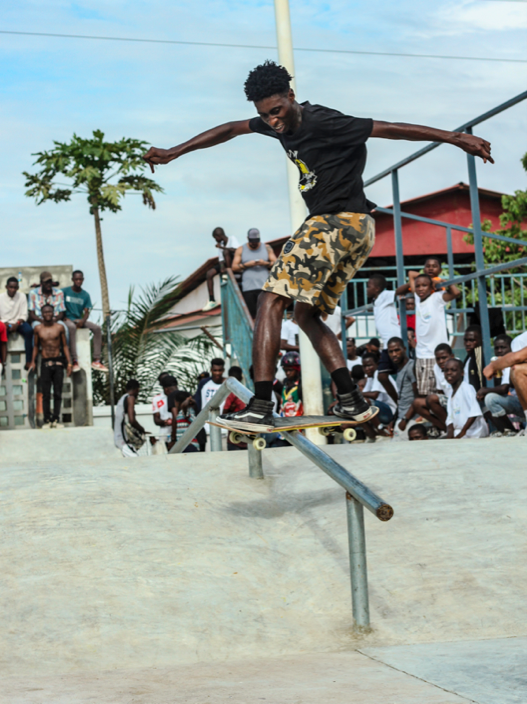 It also shows that the scene has always been there, not in a huge number, but there are people who skate in Angola. 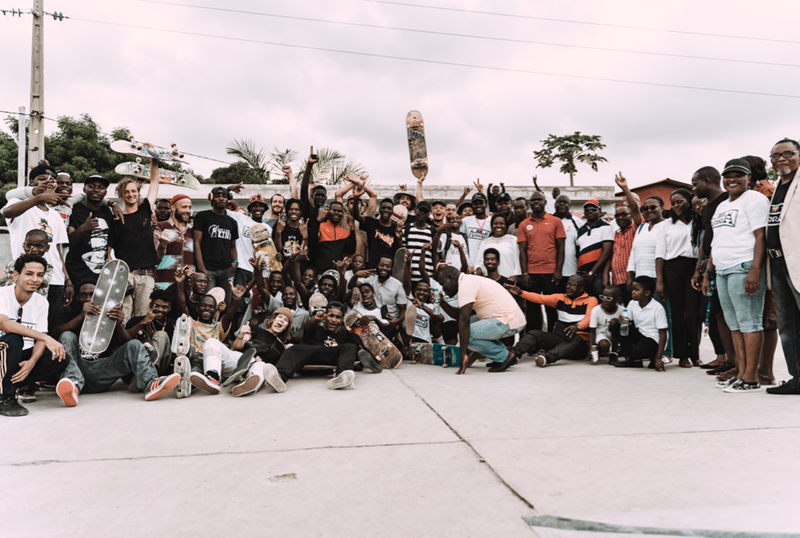 I’m talking about around 65 skaters that I’ve met personally, and this number has increased ever since the construction of the Luanda skatepark. The ledge spot by the ocean seems really popular, and with the new developments around parts of the city, it seems like there are a few street spots to skate? Yeah! That ledge is where it all began, that’s our first home and official Luanda skate spot. It’s really popular with us because it’s built very well and the ground is very smooth, with a ledge that’s at a nice height, it’s just perfect to skate. There are other spots too, like Ambiante de Angola has got some really cool stairs back-to-back going down a hill. 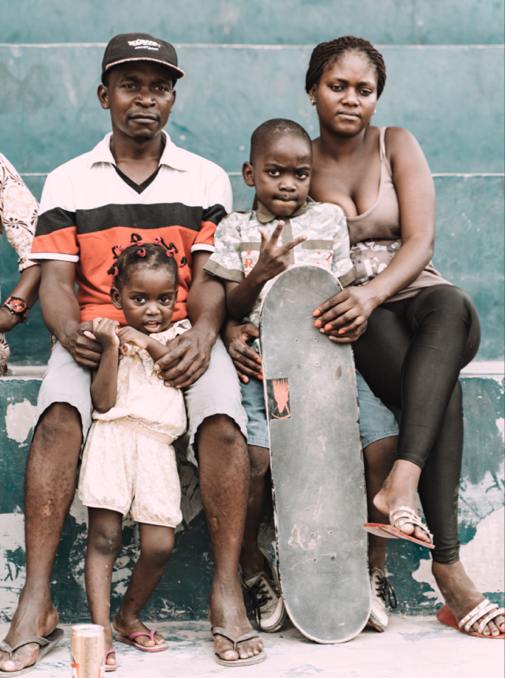 Have you ever been skating in Kilamba, do you know if there are any good spots there? 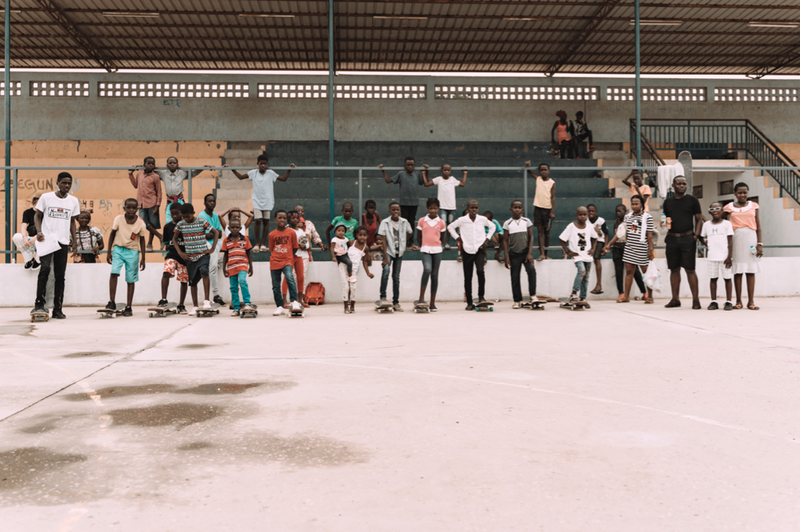 I personally have not yet skated any spots in Kilamba, but I know a few dudes who have, and I know where to find those spots. It’s just too far from where I live, but with good transportation I’m down for a mission to check it out. 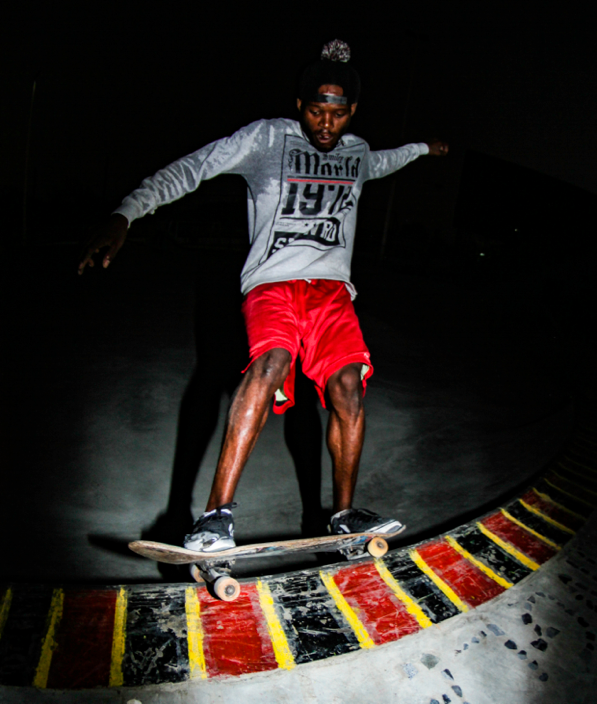 Do you know of skaters in any other cities in Angola? Yeah! 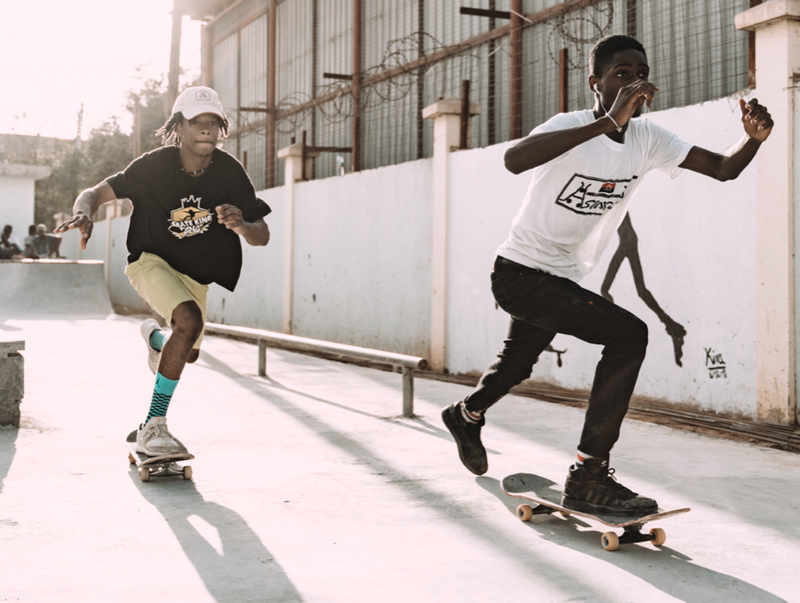 There are skaters in Benguela and Huambo, which are in other provinces here in Angola, but their numbers are decreasing because of lack of skateboarding materials. It’s already hard getting materials to Luanda, but it’s even harder getting some to the other provinces. I’m hoping that in future we can resolve this problem. 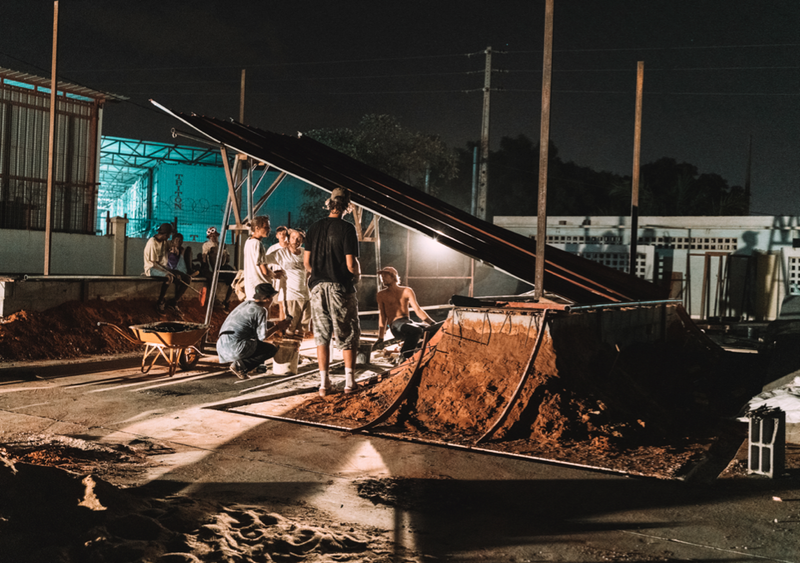 Although there was no skatepark in Luanda, there have been a few events with skate obstacles over the last few years, who made those obstacles and ran those events? 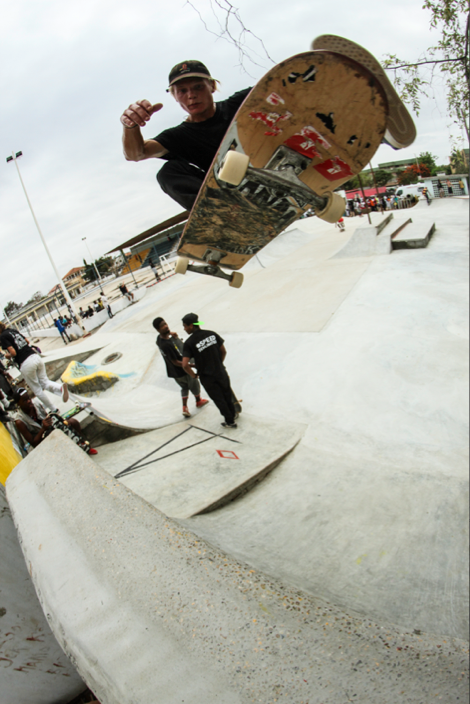 The events were hosted by local energy drink brands that pre-order their ramps to be built by ramp companies in Portugal. Then they bring them to Angola so skaters can use them while promoting their brand. 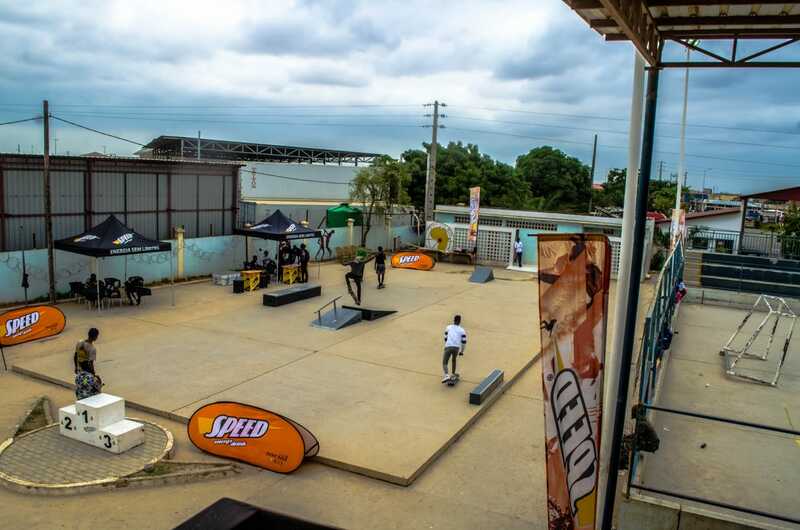 I hosted an event at the same site where we built our Luanda skatepark, using ramps that a local energy drink company provided. 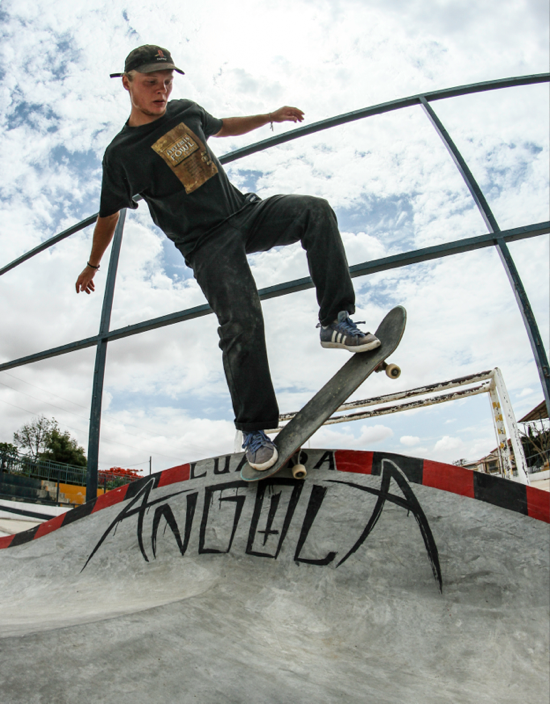 When did you start the Angola Skateboarding Union and what is your aim with the organization? 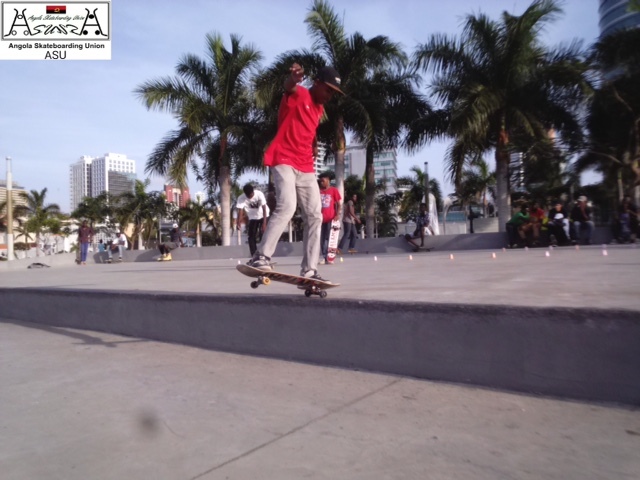 Angola Skateboarding Union (ASU) started in late December 2015 after I came back to stay in Angola full-time. I noticed that skaters in the country needed support and a platform that gives them recognition in the country, so that was how ASU was born. 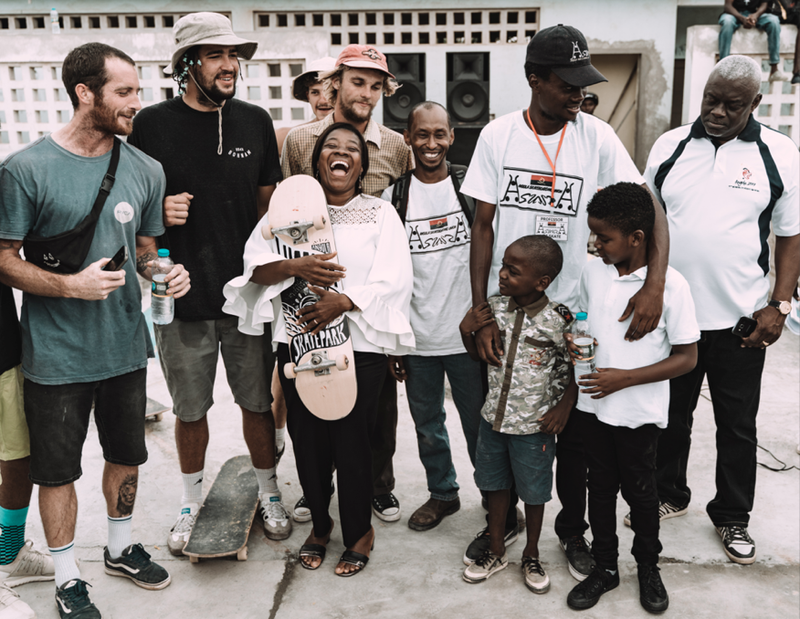 I want to help promote and support skateboarding in Angola so that the sport can grow throughout the whole country and even reach global status. Besides that, skaters needed a voice and nobody was speaking for them. How old are you and are you studying or are you working at the moment? I’m 22 years old and at the moment I’m not studying, but I’m working at ASU. I run the association. How did you secure land for the location of the park, and where is it currently situated? 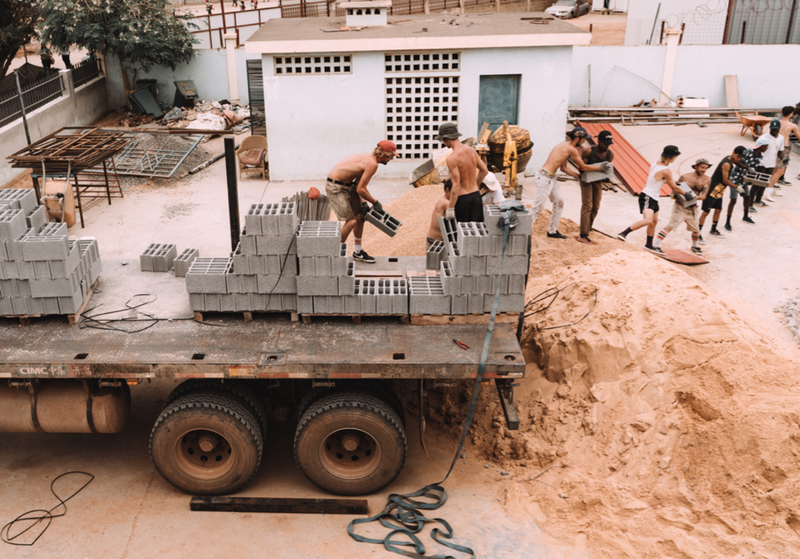 When I started the project I was looking for solid places to build a skatepark and in a country like Angola, which is rapidly developing, there’s lots of free spaces or land that needs development. 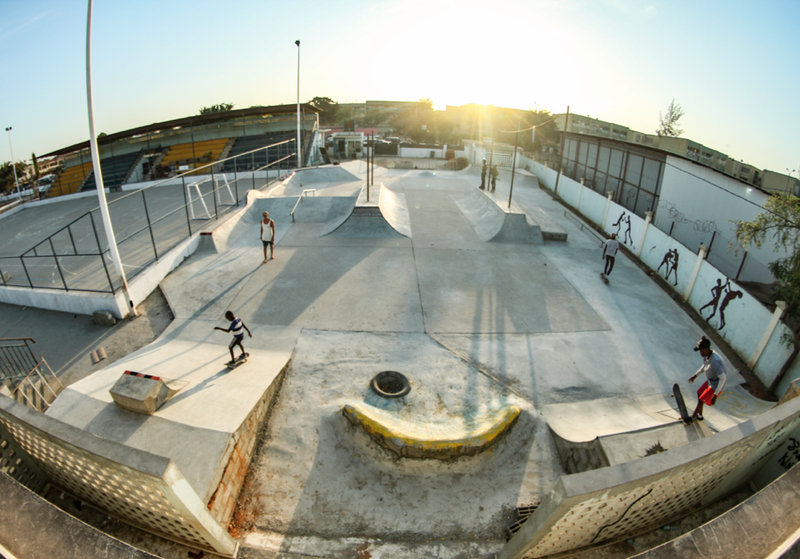 I then came across a youth centre close to my house called Campo Polivalente Villa Estoril, which had the perfect space we needed to build a skatepark. 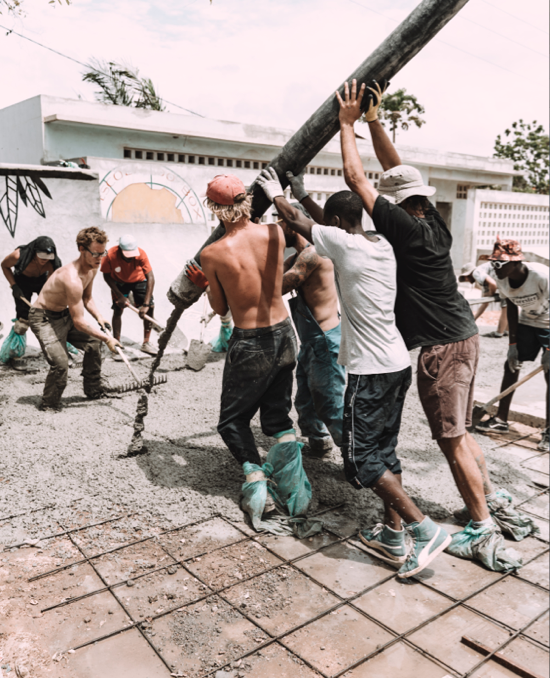 The youth centre was also perfect because lots of young people go there to do sports, so it was going to be great to add another sport to the site. I then reached out to our local government to support my project to allow us to build in the youth centre, when they said yes, then things just took off for the better. How many volunteers came, where did they all stay and what was it like having all these foreign skaters in your city? A total of 12 volunteers came. They were from South Africa, USA, UK, France, Finland and Netherlands. 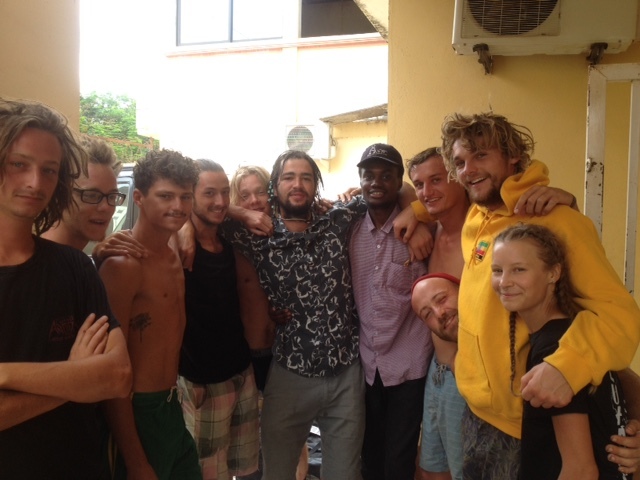 They all stayed at my house here in Luanda. It was one of the greatest experiences in my life to have them at my house. Skating around the city was always rad and the locals loved them. Everywhere they went people would stop and just take pictures with them or film them skating down the road, or talk to them and start conversations with them. It was an awesome experience for us all! I’ll never forget it. How many local skaters helped out with the build? I’ve got ID copies of everyone who helped build the park and the number is about 97 locals. 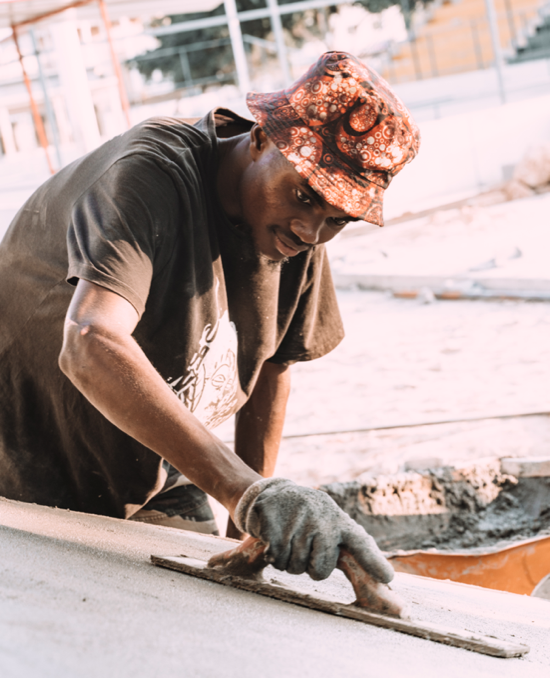 You connected with local government in the process of organizing the build, are you getting any support from government for ASU at the moment? I did during the process of organizing the build. But at the moment there’s no support from local government. I’m trying to get support from international skateboarding companies like Vans or Element to support us, because they know how skateboarding works. Local government really doesn’t know about skateboarding, so it’s a little hard for them to show interest in supporting us. 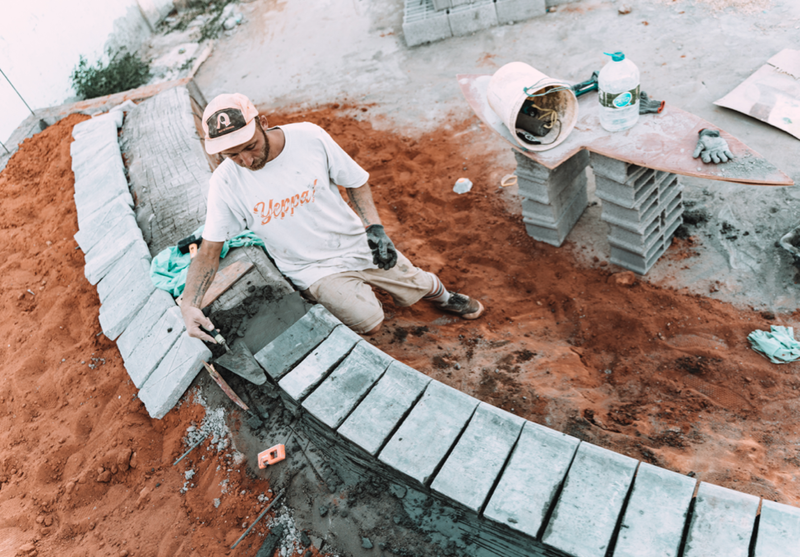 Not just with building a skatepark, but providing good quality skateboarding materials or hosting skateboarding events, or even sponsoring local riders. These are things a skateboarding company knows and can help ASU with. You have some programs that you’ve started at the park, can you tell us about that? For sure! 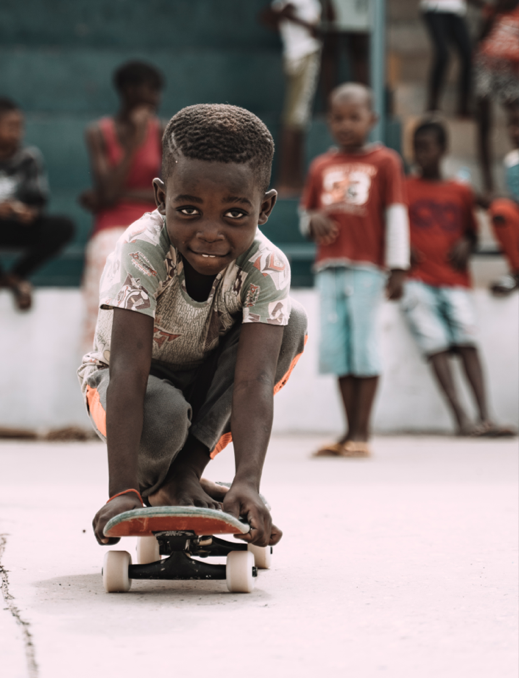 We’ve got a program called ‘Edu Skate’ which is a skateboarding program developed by Concrete Jungle Foundation that teaches kids life skills through skateboarding. 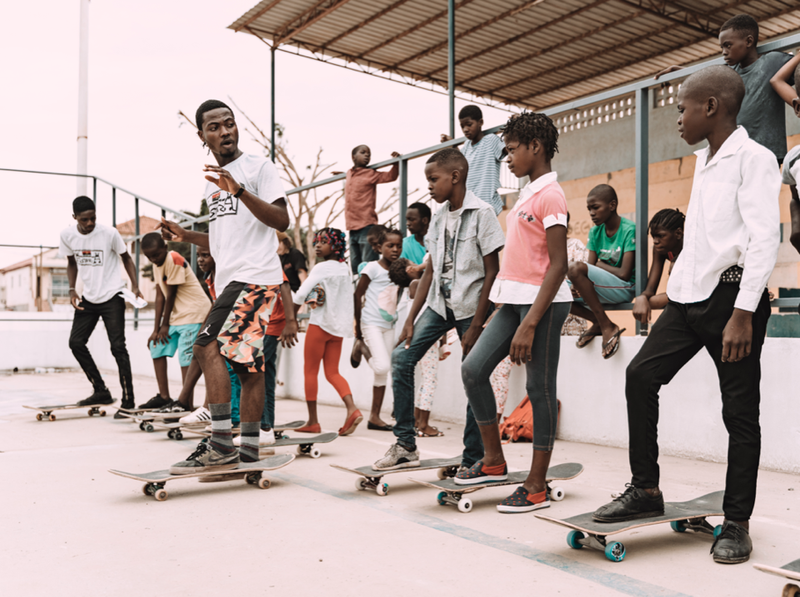 ASU is working alongside CJF to run this program at Luanda skatepark and it’s going really well, the kids and teachers working together all for the love of skateboarding. 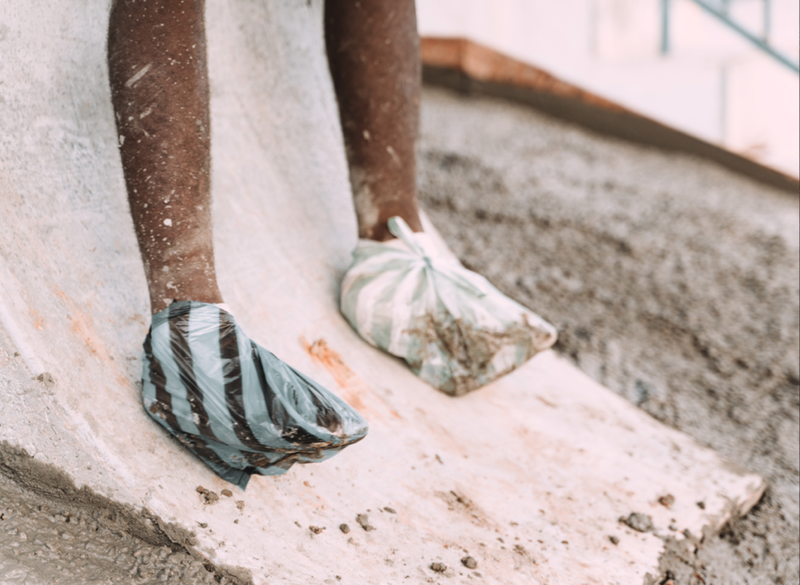 The program needs more support though, for safety materials like helmets and kneepads. 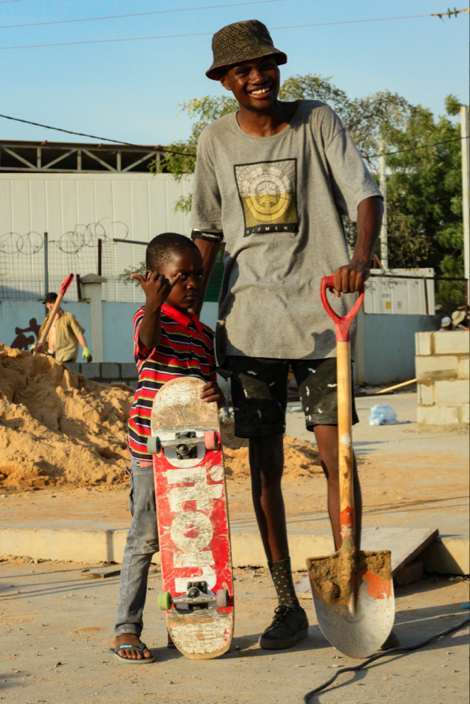 The future generations of Angola will be kick flipping as they go down the road. Luanda is often regarded to be one of the most expensive cities in Africa and it’s hard to get skate product, where do you guys usually get boards from? Hell yeah! Dude, it’s a desert here for a skater. It’s super dry for gear and when you do find gear it’s too expensive. Skaters can’t afford it, and some gear is fake that really doesn’t last long. What I normally do is fly down to Johannesburg in South Africa and buy boards at Wandile Msomi’s store or online on OLX or Gumtree, or at the Boardriders store in Sandton. Then when I come back to Angola I resell them at more reasonable prices, just so people can skate. I hate seeing dudes who can skate just chilling at home because they don’t have gear, that’s not so cool. 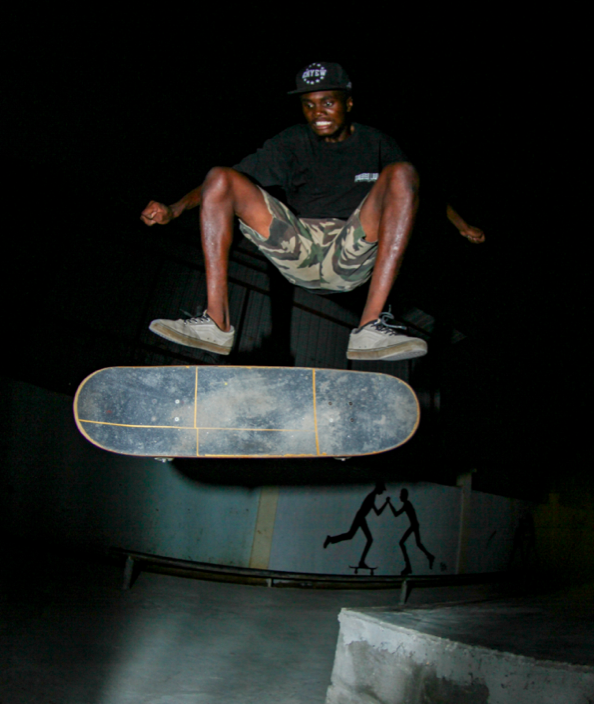 Who are the best skaters in Luanda, Arnaldo Ribas seems really dope? 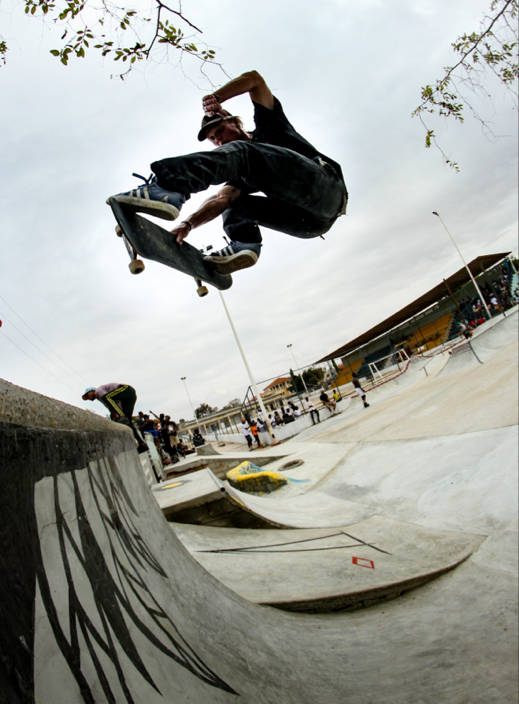 Arnaldo Ribas is on a high level, a good skater with great style. But there are also other dudes like Edu Alexander, Mario Filipe, Edmilson Pinto and myself. The other skaters just don’t film as much as Arnaldo Ribas or post what they are doing online as much, but they are all really dope skaters. You come to visit South Africa every now and again, what’s your connection to SA? I grew up in South Africa my whole life, my parents moved there when I was about 5 months old, back in 1996. I went to crèche, primary and high school there. I even started skateboarding in Johannesburg, around 2003 with Thabo Ramakena, Paul Hofmeyer and sometimes with Thabo Nage when he still used to ride for Element, at Boogaloos Brightwater. I used to skate Festival Mall in Kempton Park too, until it got shut down. I also used to roll at Troyville bowl. I grew up skating so many old spots with OG dudes and crews that left a mark in the SA skateboarding scene. 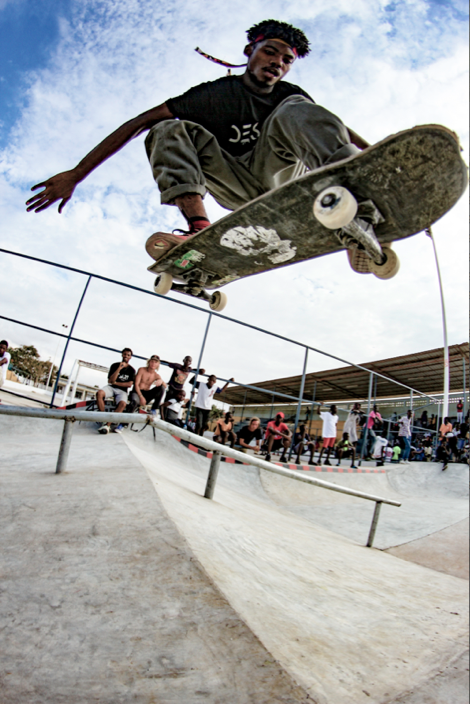 I also know the guys in the crews from like 3AS from Alex and dudes like Sam Khumalo from Skate Society Soweto. I’m so grateful to South Africa because it truly made me into who I am today. What is next for the ASU, do you have any other projects in the works right now? There’s lots on the way, like more skateboarding programs. 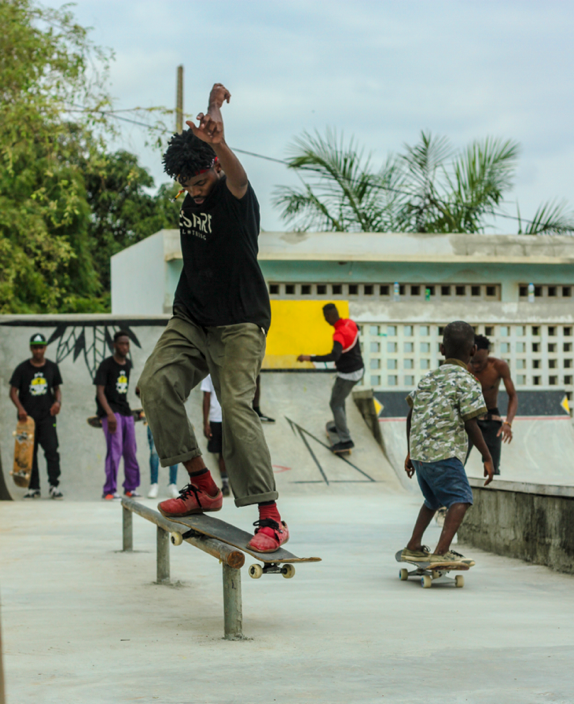 A program that focuses on getting local girls in Angola to start skateboarding. 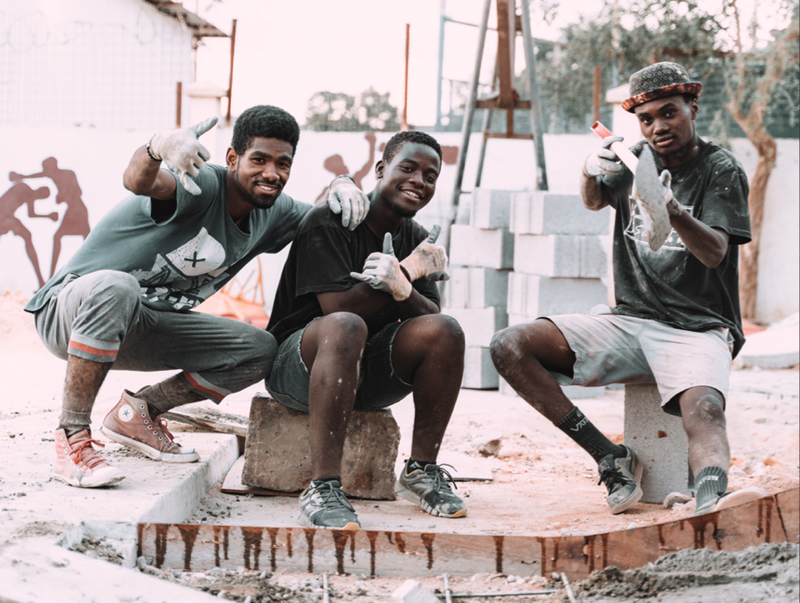 A program that will help build skateparks in other parts of Angola, because skaters are all over the country and they need the support in their provinces. We’ll be hosting more skateboarding events, opening a skateshop that will be selling ASU skate products at great prices. We want to start sponsoring a few local riders and have an ASU skate camp. Okay, maybe too soon to talk about that but soon you will hear about it. There’s honestly a lot to look out for from ASU, the sky’s the limit and with God on our side, all we’re bound to do is prosper and make it happen. 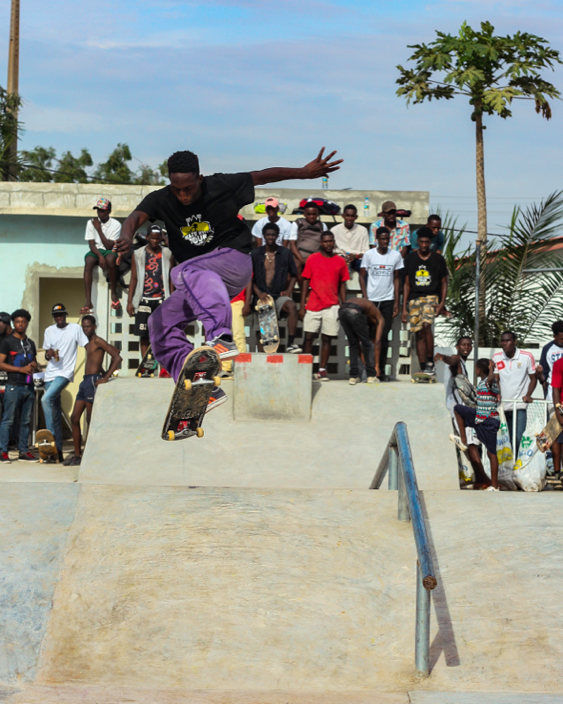 To end off, what is your hope for the future of skateboarding in Luanda? Firstly, for more local skaters to get sponsored by big skateboarding companies, because they have great talent and style. Lots of these good riders lose motivation when they can’t get any form of sponsorship, it would be so sick to hear one dude from Angola rides for like Volcom or Zero Skateboards, for example. 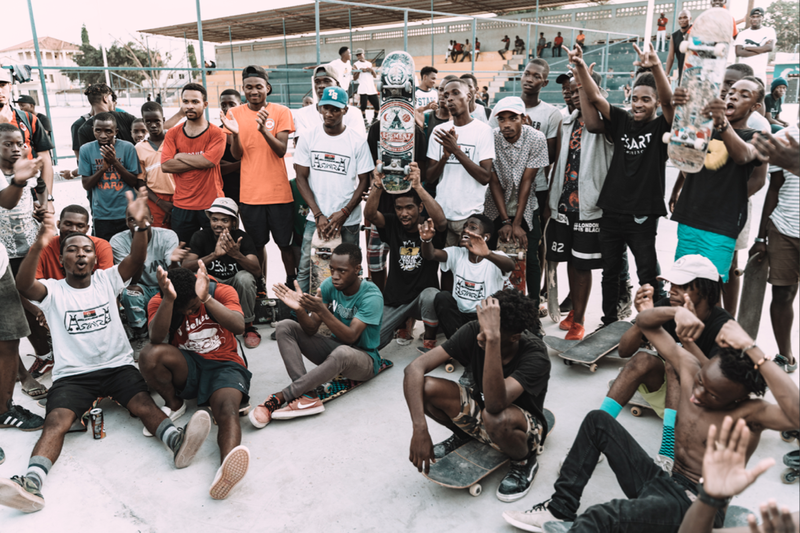 Secondly, for more skateparks to be built in the country, not just in the capital Luanda, but in the other provinces so other kids can get to know what the feeling of being in a skatepark is like. 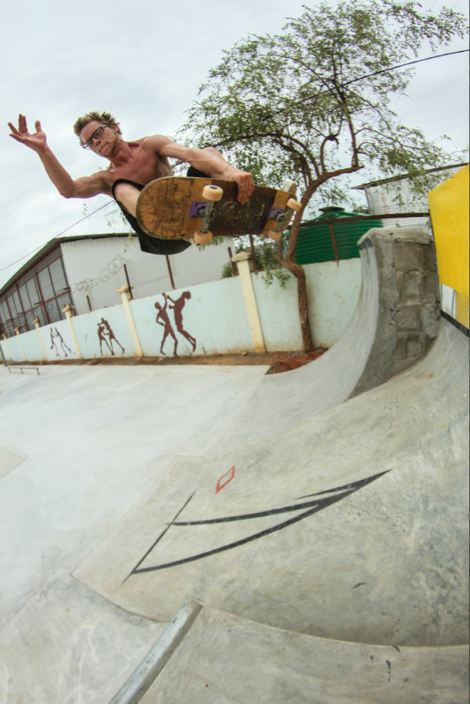 Thirdly, for skateboarding to be recognized as a sport here in Angola. So we can get more support from the government, making a skateboarding team that can represent us at the 2020 Olympics in Tokyo. Lastly, for more skateboarding brands to come into the Angolan market. There’s a lot of potential for good sales and promoting as skateboarding is just picking up here at the moment. It serves as a great time to launch a skateboarding brand here. Peace and love, stay rolling! Hit ASU up on Facebook – Here!